You ever have one of those incredibly insane weeks? Work has been hell but everything else has been fantastic. This week alone my Dog announced his run for the presidency and a Vice Presidential Candidate search (toby4president.wordpress.com); I went to the Preakness Horse Races where I bet on the winning horse (I’ll Have Another) for the Win; I had a meeting in the Indian Treaty Room of the White House; and I had breakfast with the band Train. (And I expect more great stuff as I head to Orlando for a quick getaway). Through good connections and incredible timing my friend got us into an exclusive performance and breakfast with the band Train. http://en.wikipedia.org/wiki/Train_(band) There was maybe 25 people and we got to meet them, hear them sing and take pictures with them! They sound even better live than on the radio (wish I could figure out how to add the sound recording I did). And the lead singer Pat is very personable and funny. I was awe struck and I am not normally awe struck by celebrities (just the people who run our country!). The event was held at an exclusive hidden Gibson Guitar studio that is located near the Verizon Center. It allows singers to go exchange or fix their guitars prior to a show. Gibson Guitar Studio. Very cool space. Talking to us..very funny guy. Train – Sounds awesome in person. He is playing the Drums by beating on that speaker looking instrument. Very Cool. I also attended a meeting on an important Cyber Security and Identity Management issue in the White House Indian Treaty room. It is in the east wing of the White House and has the most amazing architecture. 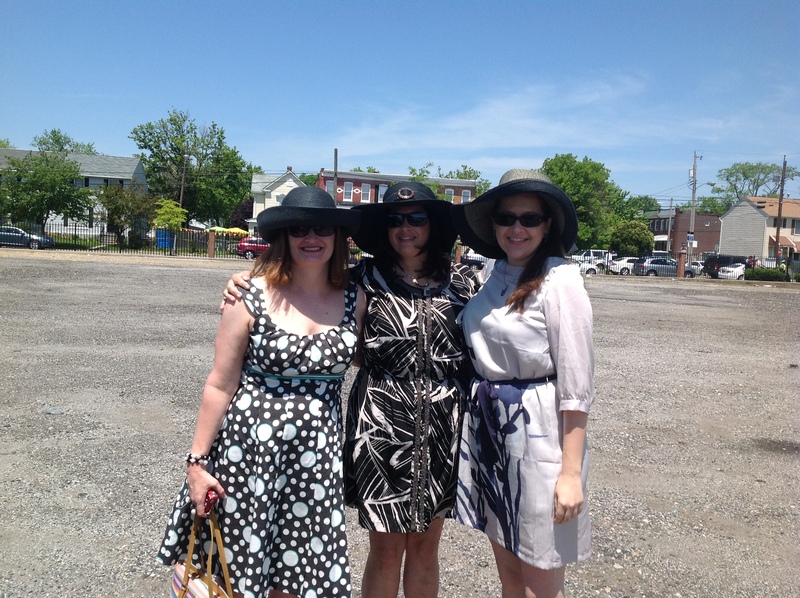 I celebated a childhood friend’s 40th Birthday with another grade school friend at the Preakness where I actually picked the derby winner, “I’ll Have Another” for the Win. So with that I decided to have another Black Eyed Susan! Not sure if I mentioned this but the Preakness is in a rather economically challenging part of Maryland. Made for an interesting mix.